Send to your clients a unique invoice which reflects your corporate identity and generates trust! We provide you a print ready file for your Company invoices. You can print, edit and convert your invoices to PDF easily. Buy now a professional design for your company invoices! Get paid with an innovative and clear invoice! An invoice is when following an order made by your client and which should be used to notify that client to pay the bill. It is a crucial stage in the procurement of paying process. The invoice needs to be edited professionally and carefully. Low Cost Web designs professionally your invoice. You can ask us to include anything you like to appear inside: company logo, number of columns, header or footer part. Invest few bucks and show your capabilities and seriousness to your clients! 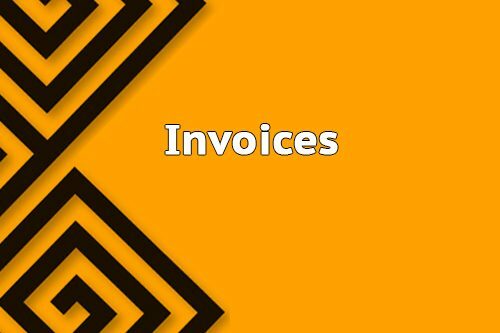 If you believe in your business, a professional invoice is a must. A personalized invoice facilitates the improvement and productivity of your business as well as the productivity of your client at the time of managing the Invoicing Process. Your invoice must be easy to recognize and to handle. After buying the design of their corporate invoices, our customers point out that they observe a shorter timing for the payment thanks to their new good looking and well designed invoice. We have the solution for your business to succeed thanks to simple but effective actions as could be the professional design of your Invoice. Save money, time and be serious when you communicate with your customers. Buy your personalized invoices made by Low Cost Web Agency right now and impress your customers!